The 6th Regiment U.S. Colored Troops Reenactors, Inc. (6th USCT) is a reenactment group that recaptures a proud American and local heritage, portraying the historic 6th Regiment, United State Colored Infantryy (6TH Regiment USCI), an African-American battle regiment which fought for freedom in the Civil War. 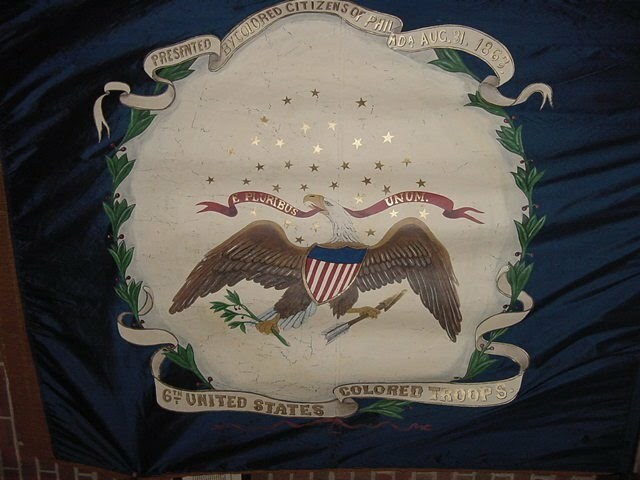 2013 marked the 150th anniversary of the Emancipation Proclamation and the issuance of General Order 143 by the War Department under President Lincoln, calling for the formation the United State Colored Troops. We also portray the 1st Rhode Island Regiment of Foot. the Continental Army's historic "black regiment"
Content in this site is subject to Creative Commons license (non-commercial).